This silly hatter knows how to make any crowd grin like a Cheshire Cat! With his nonsense jiberish, and antics, magic tricks and more- you'll keep the whole crowd entertained if you invite this special Character for tea! When you are throwing a tea party Alice knows the proper etiquette to teach your little ones that sometimes things are just not as they seem. She also knows some of the secrets of wonderland! She is a crafty face painter, and balloon shape shifter, she runs lots of clever party games too. Are you holding a tea party, high tea, or themed public event! 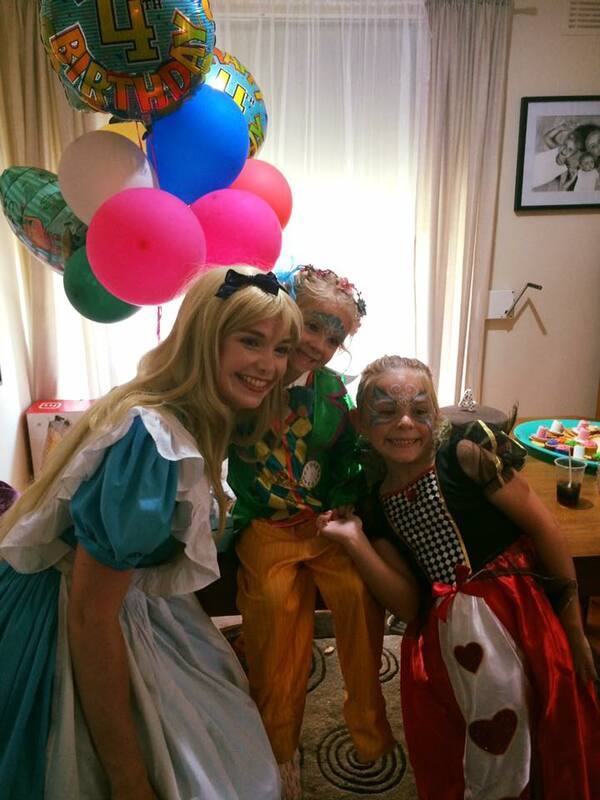 Our character entertainers can put together a package to suit your needs. Contact us now for more info!